Whether you’re studying for 1 week or 6 months, it definitely helps to add some structure to your GRE action plan to keep you accountable and motivated. Below is a list of our study guides that include recommended materials and checklists for each stage of your prep. Update 2: Want to know how we plan out the Quant studies in our plans, and which Quant concepts are the most important? 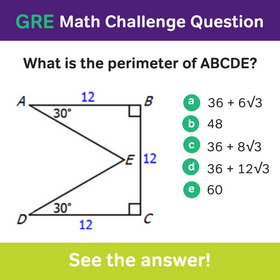 Check out our article What Kind of Math is on the GRE? Breakdown of Quant Concepts by Frequency. Do you need to adapt these GRE study plans to meet your needs? Check out this blog post for adjustment tips! 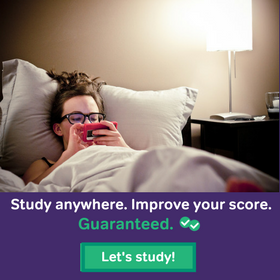 Bonus: Watch this video for tips on how to use Magoosh’s GRE study schedules. Learn techniques for making the most of your study schedule! Hi – I just bought the Magoosh GRE book, which only contains the 1 month study plan. What would you suggest in terms of adapting using the book into the 3 month plan? I’m a little broke and can’t really buy a monthly/6 month online plan, so I figured the book and anything else I can get my hands on that’s free/cheap would be the best alternative for me. Thanks! Great question, Cameron J! The Magoosh GRE book contains a fraction of the practice questions available through Magoosh GRE Online. So if you have the book but not an online subscription, you’ll have fewer Magoosh GRE questions than the 3 month plan calls for. You also won’t have our video lessons, of course. Assuming you have all the other materials for our Magoosh GRE study plan but do not have a premium subscription, you’ll want to find alternative GRE skill lessons and additional sources of practice questions. In terms of practice questions, Manhattan has excellent quant questions, so you can look online for cheap used Manhattan GRE books that either focus on Quant or have a lot of Quant practice questions. Another good cheap source of Quant practice for GRE is used GMAT materials. GMAT Quant and GRE Quant are very similar, so GMAT math practice questions can be quite useful. In addition, GMAT Verbal questions are very useful for GRE practice. The Critical Reasoning and Reading Comprehension GMAT questions are very similar to the paragraph arguments and longer Reading Comprehension passages on the GRE. Note that the GMAT offers some free downloadable prep materials in addition to the cheap used ones you can get. And speaking of free web-based practice, check out the free practice tests available on the “Accessible Formats” test material page from the official GRE website. Also take a look at the GRE’s free practice book PDF. And last but not least, there are the two free PowerPrep tests. So what about supplemental cheap or free tutorials and lessons? You can get a lot of nice free Quant, Verbal, and AWA lesson material just by searching this blog. More free online material for Quant comes from Khan Academy’s official ETS approved GRE math video lessons. And if its book material you prefer, you may be able to get some cheap used books published by Powerscore or Manhattan that focus on lessons/tutorials. Hope that helps, but comment below if you have any further questions, Cameron! Is the content in all the plans same or does it vary? What’s the difference between beginner and advance plans? 2) 1 month or 3 month? Great question! All of our study schedules are comprehensive and will take you through all of the information you need for the GRE. The one-month plan is more accelerated, so it requires more of a daily commitment. The 3-month plans take you through the content at a more leisurely pace, and provides time to go a little deeper into some of the concepts and strategies. The beginner study schedule is our most comprehensive schedule. That will take you through all of the lessons, practice questions and other resources in Magoosh. The advanced study schedule is meant for students who have already taken the test and have a strong understanding of the concepts and strategies. The advanced plan focuses more on practice and doesn’t go through the lesson videos as thoroughly. I am interested in using the 6-month study plan. Are the 2015 revisions to the plan still the most up-to-date. If so, I was looking through the essential material book links and most of them have newer editions. Should I purchase the newest editions of these essential material books or stick to the versions recommended in 2015? Thank you for your help! Where is the 6 month google doc? I’ve been looking for it everywhere! Unfortunately, we don’t have Google Doc versions of any of our 6 month plans… at least, not at this time. For printable versions of those, I recommend the crude-yet-effective method of copy-pasting from the browser into a word processing document. I am planning to take Gre test in September month ( about 3 and half month), at present I am working so I have time only in evening hours and weekends for studying. kindly suggest me with a study plan that I should follow. I recommend the 3 month beginner’s study schedule. Many people find that the daily tasks for this study schedule take around 2-3 hours per day, but there are several options if that is not feasible with your work schedule. For example, you can study less on the weekdays and have longer stints on the weekend. While we recommend that students follow everything on the schedule, we also recognize that not everyone has the luxury of time! If you become a Magoosh Premium student, our tutors can help you adapt the study schedule to decrease the time commitment and focus on your specific strengths and weaknesses. Our best advice for students who are working a full time job while they study is to keep working continually towards your goal. You may not complete every task in the study schedule, but as long as you put in steady work and focus on small improvements, you will see results! I’m an Indian student whose previous GRE score was 315 (Q- 162, V- 153, AWA- 4). I took the test in October of 2015. I’m planning to retake the test as I haven’t been able to get admitted to the school of my choice. I wish to increase my overall score by about 10 points and my verbal score by at least 5 points. I’m planning to take the test sometime in August or early September (2018). Is it possible to improve my verbal score in 6 months? If yes, please suggest the best study plan I need to follow. Hi – Is there any benefit to putting a lot of effort into balancing scores? I am on-track to be in the 151-157 range for Quant and 161-165 range for Verbal (at least, according to the diagnostics). 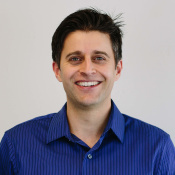 I already have a PhD and I am a working professional – considering part-time MBA. I want to get in at the best school in my geographic range (which is one of the top ten! and accepts the GRE for applicants). Should I continue a balanced study plan? I am currently taking the 90-day advanced plan. This would probably raise my Quant by a little — and I am hoping to keep my Verbal inching really close to one of the very top percentiles. Or would it be better to have a more math-focused plan; keeping my Verbal at a pretty decent percentile but potentially moving my Quant from a somewhat average to a somewhat above average range? My current lopsidedness is probably because I am an avid reader and communicate a lot in my profession, and have been out of practice in science & out of school for a long time. Thanks! Do my chosen schools have stated desires regarding score? Does my field of study rely on both quant and verbal skills, or is it skewed in one direction? Does my existing academic record mitigate any lopsidedness my GRE score shows? I am planning to take GRE after 6 -7 months from now.So,I am planning to go for the 6 month study plan.But when I visited the link,I got to know that the study plans are last updated in 2012.So ,I wanted to know whether there are any changes in the plans now? Hi…I have a question,which one is better to take first: the GRE or the TOEFL? In general, we recommend that students take the IELTS before the GRE. This is because the GRE is much more difficult, and because some of the skills you learn in the IELTS can help you to master the GRE. However, we also recommend that students study for one test at a time, because they require very different skills and knowledge. Since you have already scheduled the GRE, I recommend that you dedicate your time to preparing for that test. After you have taken the GRE, you can turn your attention to the IELTS. I want to write the GRE next year, am a final year student in the university. Can i schedule the exam for three months? and also, am studying philosophy as Bsc, and am intending to study Psychology as Ms.c in the US. What chances do I have? and which University(ies) should i apply. Studying for 3 months is a great amount of time. 🙂 As for your MSc Psychology ambitions, we cannot really advise there. First, make sure you can be accepted without having done a lower level degree in that field. Next, you should be looking into the entry requirements for programs you like and seeing how you stack up to that. We cannot advise you on the appropriate universities, but if you have a guidance counselor/admissions professional available to you, definitely reach out to them. Perhaps a careers department? Good luck! Hey guys, would you recommend the 1month daily plan if my goal is just to increase my math from 158 to low/mid 160s? If not, do you have any suggestions? The link to the 6 month study schedule (Math Beginners) says that it is daily, but the link is for a weekly plan. Do you have the correct link for the 6 month daily schedule? That is strange. I believe we only have a 6 month weekly schedule for Math Beginners, and no daily one. I’ll check with our Content Improvement department and see if they can change the “daily” notation in the sidebar, though… or link to a new daily 6 month math beginner plan, if there is one. I’m hoping to write the GRE in September and I work full time. How much time should I put into studying everyday and is the 3 month schedule enough for me to write the GRE? Unfortunately, I bought only the ETS guide, can I still follow the schedule even though I don’t have any magoosh material? The major purpose of our study schedule is to bring you through all of the Magoosh material, including lesson videos and practice problems, though we also mention supplemental materials that will help you prepare for the test. Many of these supplemental materials are available for free online, so you can definitely follow that part of the study schedule. If you only have the Official Guide, however, you will be missing a lot of information regarding test-taking strategies and problem-solving methods. The Official Guide provides the most authentic practice questions, but does not have very strong information on good strategies for taking the test and solving difficult problems. If you decide to stick with only the Official Guide, you will have to adapt the study schedule significantly in order to follow it. I think it’s definitely possible with a little bit of creativity, but you will have to find information on strategies and extra practice questions elsewhere (the Magoosh Blog is a good place to start!) But if you are going to study for 3 months, you will need a lot more material than what is available in the Official Guide, and you want to make sure that you practice with high-quality materials! I cannot figure out how to do 10 MC and then select the next questions to be QC. Also, I am targeting a 162+ in Quant section though I am very slow at math, can you please give more advice ASAP? Thank you in advance! As for improving your pace in Quant, the key is really to master mental math, estimation, and shortcuts. I see you’re a premium user, so check out– or re-watch– our video lessons on these general math strategies. And also be sure to check out our blog’s archive on GRE Quant estimation, as well as our many articles on GRE Quant shortcuts. Hello, I am looking to do the one month plan, but I just wanted to make sure everything is updated. On the list of materials the The Official Guide to the GRE Revised General Test, 2nd Edition is mentioned, but there is a third edition of that book. Is there a difference? Should it be good to go with the 2nd still? Hi Iam a student from IIT. I am currently in third year. I wanted to know where to start my GRE preparation. I badly want to study abroad for my MS. Please help me out. In general, the earlier you start, the better. It’s always good to give yourself plenty of time to study for the GRE, along with some extra time in case you must re-take the GRE (many students take it more than once). Hello ! I was wondering how I can assess my level at the GRE in order to determine if I should use the 90 beginner or advanced study plan. I have never taken the test, and I found it difficult to evaluate my level. Good question! 🙂 You can always use a mock test from some source (we recommend finding an older library copy of a less precious resource for a placement test) to get a rough idea, though and mock test can work if you’re in a pinch. Otherwise, you could make your best guess and be prepared to adjust the plan and materials based on what you discover as you start studying. Good luck! I am commerce post graduate student. I completed my my mcom in 2014 n den opted for pgdba with specialisation in finance. I have been planning to take gre as i want to furthur pursue MS in finance. But kind of nervous as i am currently working for 8 hrS daily and not in touch with maths since highschool. I had done my Master’s in 2011 and after that I was working as a research assistant in a reputed lab. Due to unethical behaviour of my supervisor I had to take drop from my PhD. Now I have been working for almost a year in a scientific publication house. Though I am being paid handsomely, I miss working in lab and my core subject. I feel like I should reconsider my decision and take up a serious step. Planning for GRE by the end of September. I work for 9-10 hours and roughly 2 hours commuting on daily basis. Its going to be difficult to prepare as I am not in touch with maths for quite sometime. Its not impossible for me to score good but still getting nervous as there is lot of stress coming my way. What will be the best study plan for me? Please guide as I am feeling lost right now. First off, sorry to hear you left your PhD due to problems with your research assistantship. That definitely does sound frustrating. Of cours,e it must be exciting to think about going back to get your PhD. And obviously, such a big decision can also make you feel nervous. Your nervousness is especially understandable given your current workload. Still, it works in your favor that you have around 6 months to prepare. My advice is to make a study schedule that keeps your GRE prep manageable but steady. You may want to aim for about 15-20 hours of prep per week. You could do this with an hour or two of study each weekday, and 5-10 hours of study every weekend. To get an idea of what that might look like, check out Magoosh’s official GRE study schedules. One of our 3 month plans could probably be done more slowly and stretched out into a 6 month plan. With Magoosh GRE Premium, you have all the material you need for our three month plan, so that could be one way to go. But even without a subscription, you can use our plan as a starting point, and modify it to match materials that you already have access to. Thanks a lot!! That piece of advice is surely of great help to start with. Of course 🙂 Best of luck! Hello! I have been out of school for four years now and decided to take the GRE in preparation for applying to grad school. I have a lot of time as I am hoping to have my FINAL score by the end of summer/fall. Is the following a good plan? Any feedback is appreciated, thank you! About how much time a day should I dedicate to studying using the 6 Month beginner math plan? I was looking to get advice on how to make the 6 month longer or add elements until it is 9 months long? Thank you very much. I will totally do the 6 months with 3 months of target math concepts as I struggle most with that area.!! Hello — I plan to dedicate a significant amount of study time (90+ days minimum), and am likely to take both the GRE and GMAT this year. I plan to spend less time studying for the second test, as I assume there will be some amount of transferrable knowledge and skill. I’m curious if you might recommend starting my studies with prep for one test vs. the other. Would the foundations for GMAT quant, for example, better prepare me for GRE quant, or the opposite? I know there are differences in question types (e.g., data sufficiency on the GMAT), but I assume the mechanics of the question type can be learned more quickly than the fundamental skills/formulas, etc.. Maybe the emphasis on vocabulary for the GRE would better prepare me for the GMAT verbal, whereas starting with the GMAT might not leave me with sufficient time to practice my vocab when I later focus on the GRE? Any thoughts you’re able to share would be greatly appreciated — thank you! It’s great that you’re so motivated on taking these graduate admissions exams, and that you’re ready to put the work in! I will be honest and say that it will be difficult to try and master both exams. We typically recommend that students focus on one exam to maximize their time and improvement! You are correct that there is a lot of transferrable knowledge, but there are also a lot of differences. Let’s start with Verbal. On the GRE, there is a heavy focus on vocabulary through the Sentence Equivalence and Text Completion problems. So, it is very important to refine your vocabulary for the GRE. However, on the GMAT, it is not as useful. It is good to have a strong vocabulary, but the GMAT does not really test you on vocabulary. The primary difference is that the GMAT has an emphasis on Sentence Correction. So, it’ll be extremely important to refine your grammar, which is less important on the GRE. In this case, these two require a different emphasis in your studies. That being said, Reading Comprehension and Critical Reasoning are important and transferrable for both exams. So, it’s difficult to say which one would be better to start with. It really depends on your strengths and which exam you’ll gain the most value from. With regard to Quant, the subject matter for both exams are similar. However, as you mentioned, the question types are quite different. The GMAT is known to be the harder of the two exams for Quant test takers. Again, in this case, selecting which exam to start with depends on your strengths and how you fare with both question types. I have seen students who struggled with GMAT Quant, then move to the GRE Quant to do better, so it is an option. Please also check out this blog post for more of a comparison. Thanks for your feedback. I have a few more questions that are probably specific to my scenario — wondering if I can continue the conversation with you or another member of the team offline? Thank you! I would like to use the 90 day study guide but I have noticed the link was published back in 2012. Has the content been updated? Will it be useful in 2017 or should I wait until it is updates? For my immediate academic goals are satisfactory (Spanish Master’s degree). Nevertheless, in a couple of years I am going to take the test again. What Magoosh study plan should I follow to fulfill my goals??? Happy to help 🙂 The best study plan really depends on your personal goals and abilities! In general, the longer you study, the better you will do on the GRE. In addition, you should probably use one of the “Beginners” plans because it will have been a few years since you have taken the GRE and you will likely forget many of the strategies and concepts you learned! The Beginner’s plans are the most comprehensive because they bring you through all of the material you need to know! Many students, especially non-native English speakers, find that the 3-month beginner’s plan is perfect for their needs. It is enough time to learn the concepts and get plenty of practice, and the daily study needs aren’t overwhelming. However, there are some ‘big picture’ skills, especially in the verbal section, that may take more time to develop. I recommend that you start a high-level reading habit right now–reading consistently will help you build your vocabulary, reading comprehension skills and general verbal abilities. That way, you will already be ahead of the game when you start to study again! To get to know the GRE, I’d recommend reading our “Ultimate GRE Guide”. This will tell you everything you need to know about the exam, so it’s really useful! Now, first, I’d recommend choosing a study schedule based on the amount of time you have to study and your strengths/weaknesses. If you’re unsure which study schedule is right for you, check out this short quiz to find your perfect study plan. If you choose not to use a study guide, I’d recommend starting by watching the lesson videos from Magoosh and doing the practice quizzes at the end of each section. The lesson videos are listed in the order we recommend that you watch them, so simply start at the top of the page, and work your way down. As you finish each section, you can use the Practice tab to create your own practice sessions, and filter for the types of problems that you’ve just learned. For example, if you’ve just finished the lessons on Integer Properties, use the Practice tab to only practice Integer Property questions–this will help solidify the concepts in your mind. I’d also recommend exploring more of our blog! As you’ll find, it has hundreds of posts about everything from math strategies, to vocabulary words, to verbal practice problems! Hi, can you confirm the beginners daily and math daily both require me to complete a math section a day, such a algebra and geometry from the official guide? I feel like it’s more than 2 hours of work alone. Neither the our GRE Beginners Daily plan nor or GRE Math Daily plan require a full section of math every day. On either of these plans, there will be some days where you don’t do any actual math question sets, other days, where you’ll do some questions but not a full GRE Quant sections’ worth, and other days where you do indeed complete a full GRE Quant section. Hi! I am planning to take GRE by the 3rd week of January. I already started the preparation for about 3 weeks (but not continuously since i m a working profession and do get very few hours to spare) I would like to consider 1-month GRE plan and i m confused which one to consider either daily or weekly. Can you please guide me to make a quick decision on this as time is very limited for me. Of course! Both the weekly and the daily plans will bring you through all of the material in Magoosh as well as outside materials like flashcards and the Official Guide that can help you achieve your maximum score! The major difference is how the information is organized: the daily plan breaks everything down into daily tasks, so you know exactly what you will do each day. The weekly plan, on the other hand, only provides general tasks for the week and it’s up to you to split the tasks into days. The daily plan is best for those who need detailed and specific support, and prefer to have their tasks ready for them each day! THe weekly plan is better for people who need a more flexible plan (if you have an unpredictable work/school schedule, for example) or for people who prefer to organize their own study time. Yes, these study schedules are designed to be adaptable. We understand that students have other obligations, so you can adjust the plan as necessary. A 4-month study period should definitely be sufficient. I would recommend confirming when you need to take your exam by for your target programs and build in room for a retake (just in case). I think the 90 day plan spread out over 4 months will work. If you want a strong foundation in both Verbal and Math, I would recommend the 3-Month Beginner Study Schedule. Loved the overall study plans, but none really fit my case of having 2 months left before the test. Is there a two months (60days) study plan that improves both verbal and quant? Since the original plan only requires about 1-2 hours of studying a day, this is definitely doable. You could also just follow our one month plan and take 2 days for every one day on the study plan. This will definitely still allow you to cover all of the topics you’ll see on the exam. 🙂 And since the 30 day plan requires about 3-4 hours of studying a day, if you spread this out over 2 months, you’ll still be studying about 2 hours a day. I started with the 90day verbal-focused study guide (daily) about 4 months ago. I have defaulted a lot and now my test date is 3 weeks away but I’m only on week 6 out of 12. How I can fast-track my study? In the study plans (see Week one day six) where do I find the practice sets 1-6 (verbal) and 1-4 (quant). It says Official Guide but I dont see Practice “sets” in the main official guide. The main official guide only has 2 practices “tests” and In the ETS Official Verbal/Quant practice test books there are only 3 mixed practice sets for and 3 each for every question type. I guess I dont understand where I can find theses practice “sets” as mentioned in the study plan. Can you please make this clear to me. It looks like you’re actually supposed to do the 6 verbal Reasoning question sets found in Chapter 4 and chapter 6 of the GRE Official Guide. Look in chapter 4 and chapter 6 of your OG, and you should see question sets that match the description of the these questions. They may not be labeled exactly as ‘sets,’ but these are the questions you should solve! my question is, does the magoosh vocabulary set enough to prepare for the test? I have the PDF copy of the word, but, still my question does it enough? Hi! I’m currently working through the 90 Day Math focused GRE plan, but your video explained that the advanced plan is what helps you get over 160 in both sections. Can I still get a score over 160 in both sections if I use the math focused? I have a strong background in reading and writing which is why I selected the math focused plan, but I don’t want it to limit score because I need to get a really high score for the programs I’m applying to. Thanks so much! You guys are great! I am a graduate in Engineering and planning to apply for MS in fall 2017. Am decent in general quant preparation and not too good at verbal. What preparation/ time plan should I follow to take up my exams in Nov-Dec? Any suggestion regarding the Books and material? I’m planning to take GRE test for second time, i scored 299 in my first attempt but it has been a year since then and now i have decided to appear for the test again. I have got two months to go before this second attempt. I’m really confused about the study schedule i should be choosing. I am confused between one month & 2-3 month study schedule. What should i choose, can you help? i saw your website and was immensely astonished by the effort you put into answering each question. i would like to thank you for all the effort you have taken. i am basically a professional working for the last 12 years. (my age is nearly 38) All of a sudden i have got a glimpse of opportunity to study further , something i always wanted to do. The profession i am in doesn’t or hardly contain any math nor lot of intelligent words. Hence my repertoire of both math and verbal is not to the mark. The opportunity which i have also has a time limit. Is it possible to give both GRE and TOEFL in 3-4 month time if i am diligent with my approach. At present i am reading the manual giving at least 2 hours minimum daily. i may not be looking at a perfect score but something that will give me at least a decent look when i apply. i have been reading a lot of material, mainly how to study. Happy to help, and I’m so glad to hear that you find our blog helpful! Congratulations as well on your opportunity for higher study! I know it’s hard to get back into the rhythm of study after so long, but I can tell that you are determined and willing to work hard. I am a Post graduate in Commerce and planning to go for MS. Likewise i am planning to give GRE in october mid thats just a month away… i am quite weak in quant and addicted to calculator ( being from commerce background 😛 ). i intend to score atleast 170 in quant. what study plan should i follow? Any of our plans will bring you through all of the information you need to know for an elite score. The limiting factor here is time–it is difficult to get a perfect score in only a month! I recommend that you follow the 1 Month Daily Plan and that you add on as much extra math practice as possible. You should also focus on breaking your calculator habit and learning the mental math shortcuts that we teach in Magoosh. You can read about them here: https://magoosh.com/gre/2012/mental-math-on-the-gre/. The calculator is a nice tool, but it can be dangerous to rely too much on it! I gave my GRE and got a score of 309 with Q161 and Verbal 148. I really want to improve my verbal score as i need to get a score around 325 in order to get into a good engineering school. Actually i am retaking GRE again on 24th October 2106, so i was thinking of considering the one month schedule of Magoosh. I have also started reading from the The New York times and from Arts and daily.com . Actually i saw in one of your blog posts about improving the reading skills. Like is it specific that i need follow the New yorker, The Economist for advanced reading . And what specifically should i read in there because it seems so vast. Actually i am bit confused about what to read and what not to regarding this because i usually get tangled up in the paragraph while reading them. So would you recommend me to go for this one month plan so that i can improve my Verbal score and also my Quant score atleast achieving 165 and above ? Happy to help 🙂 The one month study plan will definitely bring you through all of the material you need for the GRE, but how much you improve depends on a lot of factors, especially the length of your studies. For example, the verbal section requires a lot of ‘big picture’ skills that time time and effort to improve, so while you can see some great improvement in a month you probably won’t increase your score drastically. Since you have an affinity for the math section, you definitely could see a few points of improvement there! If you want to improve by more than just a few points in each subject, however, I highly recommend using a two or three months study timeline. This all depends on your personal schedule, of course! If you want more specific article recommendations instead of having to wade through entire periodicals, I recommend that you check out our Article of the Month series. Each month, Chris chooses a GRE-level article and discusses some of the important vocab and structure. And this blog post can help you to improve your active reading skills: https://magoosh.com/gre/2015/active-reading-strategies-for-the-gre/ It takes time and effort to improve your reading comprehension skills, but you can definitely see improvement if you follow those guidelines! I am a language teacher and about to start a GRE vocabulary class at an accredited language school. the sad fact is despite my good knowledge of GRE vocab , I have absolutely no inkling of how to teach the class and boost the students’ vocab. i would appreciate it if you could give me some professional tips as to how to take care of this class. I just started my preparation for the GRE today and also joined Magoosh, because it seems like a really good way to get prepared and it also looks like a good deal. I took one of the practice tests from the ETS powerprep software and scored 146 on verbal and 153 on the quant section. I did not write the two AWAs, but I took the timed test. I’m aiming for 163 quant. The verbal section isn’t that important because some universities i want to apply to do not consider the verbal section for admission and the others just want me to be average (guess so because they do not give any min. verbal score but min quant. score). Therefore I want to dedicate about 2/3 of my time to quant. Furthermore, I’m considering taking the GRE in about 1 1/2 months and using the Magoosh 1 month daily study plan (I have plenty of time, cause we have vacation right now) During the practice test i felt that i could have solved more problems if it wasn’t for the ticking time. Also the calculator, which i did not use a lot, wasn’t working properly (maybe because I’m using a Mac?). I also didn’t know a lot of words in der verbal section, which was foreseeable. As a non-native speaker I am used to study vocabs from school, so i actually looking forward to studying all these new words and memorize them. When I redid the wrong questions of the quant section, I solved a lot of them without looking for an answer on the internet and under 2 minutes, so I made a lot of silly mistakes during the practice test. My questions would be if you guys think that it is possible to get from 153 to 163 in about 1 1/2 months? I took the GRE in May this year and got a score of 313 (155 Q; 158 V). I’m quite disappointed with my scores (Quant in particular). I want to be able to score somewhere in the 320-325 range and increase my Quant scores to 160+. I plan to retake it in the third week of September and was wondering how best to study for this exam a second time round. I need this to be second and final attempt at this exam. Could you please help suggest the best approach/study plan for me? I’m contemplating signing up for the online Magoosh course as well so I can get the score I need/want. Would be great if you could get back to me with some advice! In order to increase your scores, you need to have an organized and well-thought out study plan, high-quality study materials, and stellar study habits. With Magoosh, you will have access to all of the videos and practice problems you see mentioned in our study schedules. Any of these schedules will bring you through all of the concepts and practice you need to know to master the GRE, as well as advice and support from our team of expert tutors to help you out when you have trouble. We don’t have a two-month study guide, but one our tutors can help you to adapt the one month study guide to fit your needs. For example, depending on your strengths and weaknesses, you may decide to focus more on math practice and verbal strategy, or vice versa. Our schedules are designed to be flexible to fit your needs. Our students raise their score an average of 8 points, which puts you exactly in the range you want to be! For some more advice on how to retake the GRE, also see this blog post: https://magoosh.com/gre/2012/how-to-study-for-a-gre-retake/. hi, i have only 70 days. but my verbal section is too poor. If i start to concentrate on it then my quant section become poor also, what can i do now. Specially remembering word. i can’t memorize them properly? give me some suggestions. There are over a million words int he English language, and a good amount of these million words just might appear somewhere on the vocabulary-heavy GRE. So it’s understandable that you’d struggle to memorize all the words you might need for GRE Verbal. With less than three months left, I’m going to recommend a different, more time efficient approach. Focus on building skills rather than committing vocabulary to memory. Make sure you build your skills in active reading and practice comprehending vocabulary in context. Also really think about why you get certain Verbal questions wrong, and why the right answer is right. This will help you build your strategy in selecting the correct multiple choice answers on Verbal. You can further build your multiple choice testing skills by seeking our practice materials that come with answer explanations. We offer many questions with answer keys and answer explanations right here on the Magoosh GRE Blog, and subscribers have access to even more Verbal test skill-building material through Magoosh GRE Premium. Hi Akhila. Since you’re a premium member, I’ve referred this question to Magoosh’s Student Help email service for more in-depth assistance. For others who might be feeling similar math anxiety, I always recommend studying the fundamentals of GRE math first, before diving into a huge amount of practice questions. Some good foundational math lessons can de-mystify GRE Quants and make you much more confident as you do GRE math operations. There is a lot of good content on the fundamentals of GRE meth right here on the Magoosh GRE Blog. We also offer video lessons through our premium GRE service. 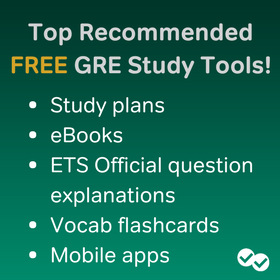 And Khan Academy has partnered with ETS to offer quite a few free official GRE math videos too! I am new to gre and looking to score around 310. I am an engineering student, so the quant part is not a big deal for me. But I am a little bit worried about verbal section. Also, will magoosh help me out with selecting a college? ? As for vocabulary — and to be clear, this is covered in the study plans — I would start with frequent reading every day and Magoosh GRE vocabulary flashcards. However, simply knowing vocabulary is just part of the battle. If your reading comprehension abilities aren’t strong enough, then even if you know many words, you will probably still struggle with verbal. I hope the study plan and these suggestions prove useful during your prep! We have worked with them for several years and recommend them highly. We also have an admissions section on our blog where our partner companies often address common student admissions questions: GRE Admissions. I have until January 4th to take the GRE or just about 6 months. Can you please advise which study plan I should follow? Also I am going to take IELTS exam with in this period and work on my graduate school application as well. Can you please advise which study plan I should follow, the 6 months or the three months? To better prepare for the GRE, I have bought all the books that are mentioned in your 6 month’s plan, and I have the following questions about the 6 months’ plan. From the GRE math review I assume you mean chapter 7 in the official guide. Since, I am totally unfamiliar with Geometry and I know little about statistics, I would like to learn them fully first and then will start doing the exercises in official guide. Is it ok if I proceed like this? I am student between the Math beginner level and advanced level and have both the of the math prep books (conquering the GRE math by Magrahill and the Nova Math Prep). What do you think if Start the Conquering the GRE math by solving all the exercises first and then jump to NOVA prep and completely finish that. As long as you have a solid foundation of English skills, there’s a chance you can work your IELTS studies into your GRE studies, doing a set of supplemental IELTS prep activities during your GRE six month plan. You could also study the ILETS and GRE in separate time periods, adjusting the length of your IELTS prep plan and GRE prep plan as needed. As you consider your options for prepping for both the IELTS and GRE, be sure to check out Magoosh’s article on studying for the IELTS and GRE at the same time, as well as our IELTS study guide our IELTS one month study schedule. As long as you have a solid foundation of English skills, there’s a chance you can work your IELTS studies into your GRE studies, doing a set of supplemental IELTS prep activities during your GRE six month plan. You could also study the IELTS and GRE in separate time periods, adjusting the length of your IELTS prep plan and GRE prep plan as needed. As you consider your options for prepping for both the IELTS and GRE, be sure to check out Magoosh’s article on studying for the IELTS and GRE at the same time, as well as our IELTS study guide our IELTS one month study schedule. I took the GRE without much preparation last year and got perfect score in math and 159 in verbal. I’ve been practicing the verbal questions in some materials out there for a month now but I always got something wrong in every passage even though I knew every word in it (ok except for the jargons); I either overthink or below-think a lot of the questions. I think I’ve hit a bottleneck and the GRE is only a month away… What should I do? Since you understand the meaning of the vocabulary for the most part, and your main problem is over or under-thinking, it sounds like this is a problem of test strategy rather than a problem of English skill or academic knowledge. The good news is that test strategies can be learned very quickly– much more quickly than vocabulary words or language skills. I would start paying very close attention to the answer explanations in your practice materials. Answer explanations always provide some insight into the strategy for reaching the right answer. I’d also suggest making note of any questions you get wrong, with additional notes on why you got the questions wrong. make note son whether you overhtought or underthought a question, and jot down the specific mistakes that you made, and how those mistakes could be avoided on similar questions int he future. In other words, keep a mistake journal. As you start really paying attention to your mistakes in Verbal, you should see some patterns emerge– certain kinds of questions you’re weak in, and certain kinds of questions your’e strong in. You can base your study activities on addressing these weaknesses and strengths, building strategy practice sessions that will really boost your Verbal score. i just finished my under grad and now iam aiming to appear for gre in the next 3 months. My target score in QA is 165 and in VA 160, so accordingly which study plan will u suggest for me to take up. A quick reply will be deeply appreciated. regards. First of all, I’m sorry we didn’t get to this earlier. I suspect your window to cancel without penalty is now gone and you have already had to make a decision regarding whether or not to keep your test date. If you don’t feel prepared for the test at any time, unless you absolutely are required to take the test in that moment, it is better to put off the test until a date at which you are more prepared and confident. The GRE is not cheap, so taking it when you know the outcome won’t benefit you is draining and expensive. I’ve already given the GRE and got a score of 320( V:153, Q: 167). I studied for the test by using the ETS guide and online resources for Vocabulary and some free practice tests. I’ve also used up the power prep. My aim is get atleast 160 in the verbal section in my second attempt. I have nearly 50 days assuming I take the test in the first week of August. A major concern for me is that, I’ve never been able to complete the verbal section. I run out of time and end up blindly guessing atleast 4 questions. I need to fix that. I take time to read. 1) Is it possible to jump by 10 points (320 to 330) in 50 days. 2) How can I increase my speed? 3) What resources can Magoosh help me with and what other resources do you suggest ? 4) What study plan do you suggest? 5) Does Magoosh provide test practice packages? I score 315 on GRE. With about 3 months of preparation I was able to achieve this score. I referred most of the material that was available on official GRE website and it really helped a lot. I also attempted the two full length tests on official GRE website. One about a month before the test and the second one a week before the test day. Other than that, I also solved the sectional and full length tests given in The Kaplan and The Princeton Review books. This way I could assess my skills on the 3 sections: Quantitative Reasoning, Verbal Reasoning and Analytical Writing. If you you know your strong and weak points, it helps you a lot in your preparation strategy. Practice is the key to a good score in GRE. Whatever time you have in hands before your test, use it effectively. Each day choose a section and practice different types of questions and strategies to solve them. Weekly full length tests are a great way to assess your preparation. Another most important factor is TIME. You don’t want to miss out on any questions in your test in which you might score well. So, always go for timed tests while practicing. On test day, as soon as the analytical writing part is over(which is the first section), forget about the topics and your essays. Concentrate on the upcoming sections. Maintain a reasonable pace from the beginning. Allow some extra time for Reading Comprehension questions in Verbal Reasoning section as RC is a bit more time consuming than Text Completion and Sentence equivalence. Try to maintain 100% accuracy. Double check each answer as you proceed, don’t wait for the end of the section to check answers. You may not have enough time. Mark the questions where you need some extra time to think and you may come back to them after finishing all the other questions, if you have time left. I scored quite well on quantitative section i.e. I got 163 or 86 percentile rank, and my major strengths here were Time and Accuracy. This applies to other sections as well. My verbal scores was 152. Here, I scored better on Sentence Equivalence and Text Completion than Reading Comprehension. Moreover, reading lengthy passages took me some extra time too which I could have used to double check my answers. So, the thing to remember is, while attempting RC questions, don’t devote too much time towards reading the lengthy passages and then attempting the question. Do both things simultaneously. Label every para of the passage. Go through the questions, find the relevant para and then dig deeper into it, if required. This strategy works well according to my personal experience. hey, I will be taking the GRE on 4th August, I had taken a diagnostic test and Q;155, V:149,this is without studying at all…I need to work on my verbal.What would you recommend as the method of studying for the remainder of time. With about 2 months until your exam, I recommend following our one month plan and take 2 days for every one day on the study plan. This will definitely still allow you to cover all of the topics you’ll see on the exam. 🙂 And since the 30 day plan requires about 3-4 hours of studying a day, if you spread this out over 2 months, you’ll still be studying about 2 hours a day. As for vocabulary — and to be clear, this is covered in the study plans — I would start with frequent reading every day and Magoosh GRE vocabulary flashcards. On the other hand, unfortunately, knowing vocabulary is just part of the battle. If your reading comprehension abilities aren’t strong enough — if you’re not able to process complex sentences quickly enough — then even if you know many words, you will probably still struggle with verbal. So let’s look at the “big picture” for a moment. To improve your verbal score, it’s essential to read, read, read as much as possible. This will improve your knowledge of vocabulary in context, your ability to process complex sentences, and your reading comprehension skills in general. Make flashcards of key words you don’t know. Second, you need to practice focused, active reading. For some specific articles suggestions, I’d recommend browsing our “GRE Article of the Month” series. About once a month, Chris selects a GRE-level article and provides both GRE vocabulary for you to focus on as you read and a brief discussion of the piece. And if you would rather read books than articles, check out this post for fiction and non-fiction book recommendations! 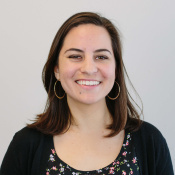 Hi I want to try to get into UW Madison graduate program for structural engineering. At the moment I am taking the math, science and static requirements for the program. For my BA. in architecture I wasn’t much studios as I should have been and my GPA is 2.8. The class I am taking now I have all A’s. I would like to know when should start to study for GRE and what should be my target scores to be accepted in the program. Mohammad— congratulations on your high marks in your most recent studies. Good academic performance on the program requirements is essential, as UW-Madison requires a cumulative GPA of 3.0 for their school of graduate studies. To find out GRE requirements, I suggest looking directly on the graduate Engineering website for UW Madison. Every grad program has slightly different requirements, so make sure you know exactly what scores you need. As for when you should start studying for the GRE– as soon as possible. UW-Madison is a very competitive state school, and you’ll want to prepare as much as you can and aim for the best score you can get, above and beyond the minimum for the program. I’m currently pursuing PhD(1st year) in India in Life Sciences and I don’t have any publications(and won’t have any in near future). I completed my Masters in 2014(CGPA-7/10), cleared national level PhD entrance exam later that year and joined PhD in 2015. Now I’m seriously(very) thinking about taking GRE ,TOEFL. My query is, will it be a problem cause I passed Masters in 2014, don’t have any publication and have no clue how good my CGPA is in this level? Do I have any chance in getting a good research institute/university? If yes, what is the minimum I need to score in these exams? Hi I am from India , currently studying in 2nd year but 3rd year will start from next months as 5th semester I will going to join tuition for GATE examination but i will appear in GRE also and I want a decent score to take admission in GRE ,and I am weak in verbal so Can you advice me what should i do what should I don’t do for GRE , pattern of GRE paper and all . Please also give me a idea about what marks I have to score in GRE for taking admission in good college or university in America . looking forward for your response . To improve your verbal score, it’s essential to read as much as possible. This will improve your knowledge of vocabulary in context as well as overall reading comprehension. Make flashcards of key words you don’t know. And you need to practice focused, active reading. For some specific reading suggestions, I’d recommend browsing through our “GRE Article of the Month” series. About once a month, Chris selects an GRE-level article and provides both GRE vocabulary for you to focus on as you read, as well as a brief discussion of the piece. 1. What is a Good GRE Score? Hi, I have the exam on the 26th of June. I’m pretty much done with the Quant Stuff. As in I’m pretty good at it. I’ve completed the Quant Books from Manhattan 8 set series. Also I’ve done a pretty good number of questions from the ETS Quant guide and Official guide. The problem is actually verbal. I’m a non-native english speaker, but I’m not bad at it. The medium of instruction has always been English for me. The thing that I’m not really good at is Vocabulary. I mean those tough words on the GRE. They really lower my score on Text Completions and Sentence Equivalence. How do I go about it? First off, to improve your vocabulary, I cannot stress enough how important it is to read as MUCH as possible. This will improve your knowledge of vocabulary in context as well as your general comprehension. As you read, make flashcards of the vocabulary words that you don’t know, and pause every so often and recap the main message in your own words. I’d recommend browsing through our “GRE Article of the Month” series for some GRE-level articles to read. Hello, I have got a doubt. I wanted to do a 6 month prep, but should I first buy Magoosh premium account for $99? Or can I do the 6 month prep through sources which are available for ‘free’? Our study plans are designed to guide students through Magoosh lessons and practice problems, as well as the Official Guide and some of our free resources. I just wrote my GRE yesterday. I got a total of 322 (167 in Quants and 155 in Verbal). I am not satisfied with my verbal score and I’d like to increase the score to above 160, maybe even more if I can. I have used all the magoosh material and I scored well in verbal in the mock tests on Magoosh and MGRE. But then in the actual GRE, I suppose I got a lot of questions wrong. Any idea on how I can improve my score in a timeframe of about a month? I started using Magoosh and the one month plan about one and a half month ago and I just took my first GRE today! Thanks to that plan, I really think it work because I never thought about I could have 151 in verbal and 170 in math! However, as I am planning to apply a graduate program about archaeology, I am afraid that the verbal part may still need some improvement and I want to had a grade with 160 in verbal. So I wonder what should I do to improve my verbal grade? Thank you very much! I will be in my 3rd semester after 4 months,i want to start my preparations for GRE?from where shud I start? This is wonderful to hear. I always advise undergrad students to start planning for the GRE early. 🙂 The nice thing about getting an early jump on your GRE studies is you have more time to feel out exactly what you need to focus on in the coming semesters. So my advice is to start by doing some official GRE practice questions (especially PowerPrep and the OG). This should be enough for you to gauge your skills and decide on a starting point. Pay attention to the sections and question types you feel weakest in and strongest in. Then start focusing on the stuff you’re not so good at– do practice questions, and try to find online tutorials/lessons on these more challenging skills too. (Magoosh GRE premium offers a large video lesson library and practice questions, as do some other third-party GRE prep companies.) Make sure that even from the beginning you do some light-but-regular practice with the aspects of the exam that you’re good at too— you don’t want to lose any of your test skills by neglecting them. Keep your goals in mind, but also don’t get discouraged if you go off your study schedule a bit! Just get back on track the next day/week! If you don’t do a full study session one day that your schedule says you should, then instead do at least one small thing. You might review flashcards on the bus, do a few practice math problems while you eat breakfast, or read a difficult magazine article with a timer, for example. Doing at least one thing every day creates a positive snowball. If you start thinking of yourself as the type of person who practices vocab daily, you’re much more likely to feel the motivation to do other things to raise your score. I hope this helps 🙂 Happy studying! i am planning for ms in mechanical engineeering in fall ’17 ,currently im studying 6th semester and i only have an year from now to take the exam and complete all the process of visa and application for the universities.so please suggest me the best preparation plan and when to take the exam.i have not yet started my prep and i’m little weak in quant. It’s wonderful that you’re planning so far ahead Teja. Even with visa application and processing time,you’ll likely have more than half a year to prepare for the GRE as part of the overall road ahead. This is great, as it gives you more prep time than many students. I’d recommend the 6 month study plan for math beginners.This is a good plan for brushing up on any GRE Math areas that you’re weak in. Because our plans are flexible, it’s very possible to combine elements of different plans into one study schedule that meets your individual needs. So if you find yourself catching up on GRE math and really mastering it, you cna start incorporating materials and activities from our 6-month advanced math plan into your studies. Hi, I am in final year and will be graduating in August so want to enroll in Spring and for that I have to take my GRE till May 10th and I have only 2 months left. I, really, am lacking in Verbal but have good understanding of Mathematics. If you could slightly push me in a right direction, that’d help a lot. We have a lot on this blog to get you started on all of those areas, and we also have free vocabulary flashcards you might want to start working through as you build your vocabulary! Familiarize yourself with the kind of tricky tasks the GRE expects of you in the verbal section and start working on your skills, beginning with the weakest ones. If you type “strategy” into the search bar, here, you’ll get a lot of good articles with varied strategy advice on the verbal section, too! Hi. I took my GRE few weeks back. I scored 151Q, 152V and 5 AW. I used Kaplan entirely. I’m really disappointed and disgusted at my quant score. I put in 3 months of daily study, read in and out of the 2015 GRE Premier text by Kaplan. I was confident of a 160 plus on both sections but surprisingly, I received a mediocre score. I’m applying for a masters program in Economics so I need to score in the mid 160’s in the quant and upper 150’s on the verbal to get into a decent school. I want to retake the test in June. What are my chances of scoring significantly higher with Magoosh and Manhattan 5lb. First, I’m so sorry that your last GRE didn’t meet your expectations. It can be really frustrating to put in time and effort and then not see the results you need and want. While I want to emphasize that I stand behind our materials (and we also love Manhattan products!) it is not only about the materials. For the record, Kaplan doesn’t do as good of a job at presenting GRE-like study material in both verbal and quant. Your 151Q and 152V is a strong starting platform for your retake studies, though, so don’t despair! If you work with us at Magoosh, you have our expert-made bank of questions, lessons on key topics, and access to tutors through email to ask your own questions and get personal responses. Manhattan’s 5lb book you mention is full of great problems to work on, too, and can supplement your studies from anywhere. The key to improving on retake is partly in your materials and partly in your ability to self-analyze performance and notice small trends in your understanding and competencies. You should look into building yourself an error log to pinpoint where you can make the most difference in your abilities no matter what you choose to study with moving forward. (Verbal 144 , Quant 160). I really need to improve the score up to 325 and I have around 4 months to prepare. Which study plan do you recommend. ? Let me know any advice plz. If you’ve used a study plan already, following another one from start to finish may not be the best plan. No matter what, though, you should definitely pick a plan with a verbal focus because that is where you have the most room to improve! You’ll also want to deeply analyze the weak areas you have remaining in quant, but with a maximum of 10 points to improve in math, you really need to give attention to the verbal side. 🙂 If you wanted to take up the 90-day verbal-focused plan and adjust it slightly for the things you don’t need to revise (like the basic GRE structure lessons) that would work well! I plan to prepare for GRE test. I have class and practicum until May, so don’t have enough time to prepare. Maybe 16 hours/week. My vocabulary is weak. I plan to take the test around this September (first time) and November (second time). Is there any good plan for me? I think that the 6-month plan would work well for you. You can start off slow, and then once you finish your studies in May, you can really kick into high gear. I would recommend modifying the monthly schedule to reflect this — you may have to move some of the work from the first months into the later months, but overall you should have enough time to get through it. I purchased the Magoosh premium for 6-months, however I actually have a full year to prep for the test. Do you guys have any suggestions for a one-year prep plan? I’m returning to school after years away, will be applying to MBA schools, and I really want to crush this test. We love it when our students are stoked about Magoosh! Since you have a premium account, I’m going to forward your question to our test prep experts, so that they can give you a more detailed response 🙂 And by the way, you can send us questions like this with the green ‘Help’ button in the lower right hand corner of the page when you’re logged into Magoosh 😀 That way, you’ll get a faster response, and we will know what page you came from (e.g. lesson video, question explanation, etc. ), which allows us to provide you with better answers! I got a 314 on my GRE and I plan to give GRE again in Jan. However, Dec 15th is the deadline for most colleges. I would like to know if I apply to universities with 314 and later send them the revised score in Jan? I want to take the GRE sometime in the next year but do not have any defined timeline. I only have 6 hours/week to study and would like to achieve a competitive score. Can you suggest any “slow burn” study schedules? I’m hoping to study a little each week for up to a year. I also have the same predicament. Is the Revised GRE Significantly different from the previous version? I was going to use the 6-month study guide f on the Magoosh blog, but then I noticed it was posted in 2011 and so now I’m concerned whether or not it’s still accurate. All of our study schedules have been updated recently, so please feel comfortable using any of them! I don’t see any “Contact us” link here or any where in the blog!! My GRE is on 30th of November and I think that I need some help. Can any body from the blog teachers contact me or send me his/her e-mail address so that we can communicate together? Thanks for reading our blog! 🙂 I see you’re signed up for a free trial of Magoosh. If you sign up for our one-month plan, you’ll be able to communicate with our remote team of tutors! Can you provide an example of how you could modify a daily study plan for a 2-month period instead of 3? That’s a great question! I just chatted with Mike and he’s going to work on a blog post about how students can adapt a study schedule to meet their personal needs. It should be up soon! We’ll add it to this post when it’s ready. I have taken up the magoosh 6 month study plan for my GRE but my exam is on this 27th Nov2015 which is quite soon .Is there any comprehensive study plan for verbal from magoosh.Aiming for atleast 160 in the same. Glad to hear you used our study plan! 🙂 Here’s a 3-month Verbal Study Plan that you could adapt for your needs! Best of luck on your test! I gave my GRE few days back and got 308 (Q:155, V:153), I am still waiting for my AWA scores. However, I have enrolled for another GRE on 6th Nov 2015 as I am aiming for atleast 320. Could you please help me in making a study plan to achieve the same. I’m excited to hear you signed up for our 6-month plan! Because you are a premium member, I went ahead and forwarded your message to our remote GRE experts. Someone from that team will reach out to you via email. I am going to take a site for the GRE exam on the first week in January. So please show me the proper guidelines which can give me a good score on the GRE exam. It is noticeable to me that I am not a native speaker in English. I scored 329 ( 170 Q+ 159 V) + 5 AWA thanks to your blogs and videos. Any tips on how to prepare for TOEFL within a week? I am not able to find any good study material for this purpose? Hey Rachel, although I want to devote only a week, but I can devote upto 40 hours in around 8-9 days. Can you tell me what all material I should look to cover ? I scored a 169 for Verbal, but only a 158 for Quant. Do you have any accelerated math study guides for advanced students? Yes! Please take a look at our Math-Focused Study Guide. I’m good at the quantitative section !! Can you tell us how good is the scoring algorithm of http://www.wiseswan.com? They claim that they have cracked the GRE scoring algorithm and their score is very similar to the actual GRE. I have also taken their quick test and scored 307, whereas in powerprep I got 310. Just wanted to re-confirm. Please give me some effective tactics for the next exam. I took the GRE test before and got the score, V145/Q154. I will take the test again in October 31th. Yes..I have to study hard..:( Which study plan is good for me? Thanks! I am unsure of a strategy now on how to improve my score to a high 165 in both, I believe I can get that but there is something that I miss in my preparation. Any help or advice would be of great help. You can check out some of these blog posts for Verbal Strategies – best of luck to you! Thanks for the wealth of information you give us. I plan to do MS in MIS. Will be much obliged if anyone can give me the directions as I’m pretty new to this entire idea of MS and GRE. I am in great trouble. My exam is just in 10 days and i am not able to ace up for the verbal section. Everytime I give a verbal practice test, the diagnostic test scores fall in between 150-152. I target 158 (atleast) in my verbal section. My quant scores are decent. But i really want to achieve a 158-160 in verbal. I have gone through the mangoosh vocab e-book and i am using it daily. English is my second language and I am still learning. My level is upper intermediate or almost advanced. I need to take GRE, however I have not taken TOEFL yet. I want to make sure that can I start to study GRE? If I study hard, can I pass it? I am so glad to know Magoosh. Thank you! We do have a TOEFL product – you can check it out at toefl.magoosh.com! Hi,,, I need help choosing which plan is the best to study Math in one month. Should I take the 90 days Math focused and study 3 days in 1 day. or should I go for the one month plan and study just the math. I gave me GRE in October 2014 and scored a poor 306(Q158+V148). I have a low GPA to compensate and need to score a minimum 325 to get into a decent school. I have the ETS Offficial Guide to GRE and have started improving my vocabulary by using your GRE vocabulary builder app. Could you suggest me a plan as to how to score as much? I also looked up a few plans on your website and would like to know whether I could go for the 2-3 month schedule for advanced students or will it be too long a shot? I want to give my next GRE in 2-3 months from now. Thank you for all the tips and suggestions that you’ve been providing. It has really helped my augment my vocabulary, especially the vocab wednesdays, which has made all those words quite indelible. Whenever i reach a plateau, I read your blogs which has helped my leap from a score of lower 150’s to 160. Plus I am looking out for good quality mock tests. I will register with Magoosh pretty soon too. Recently i came across ‘Wiseswan’ http://www.wiseswan.com/ I had received a mail wherein i was taken to a link to give a free GRE mock test. Never having heard of this, i was pretty much apprehensive about going any further. Have you heard of this? If yes, would you recommend that i go further? I moved to Arizona for Masters in Mass Communications but I can’t start unless I have to take GRE Test. I’ve been waiting for two years to improve my English but Still GRE difficult and I am so stressed out of being homesick here and waiting the chance to take the test and pass. Eh!! English is Second language and I am so frustrated. I need help please. I’m sorry that you’re feeling so stressed. Testing in a second language is always really, really hard. Have you looked at our Magoosh TOEFL Blog or checked out our free Magoosh English Prep? Both offer great English resources for non-native English speakers. They can offer you a place to start with your English prep, which in turn can help you on the GRE. I just came back from my GRE test center happily scoring 330/340 with a 170 in Math section which took me by surprise. Thanks for the great content on this website (including blogs and other topic discussions). I was constantly referring to all the content the website had to offer. From the first time I took GRE to now, I have been able to make a lot of improvement on my score and I am finally happy that I will not have to worry about GRE anymore. Continue the good work. We are all so happy that you found our content useful, and that we were able to help you achieve that great score. Enjoy being done with the GRE, and best of luck in grad school! I’ve been out of school for about 4 years now and have signed up to take the GRE for the first time in August. I’m pretty rusty all around and am wondering which of the study plans would be best for me, seeing as I need help on both verbal and math. I read in the book reviews that the ETS Verbal & Quantitative question books are the best, but the study guides only have it as suggested and have the Official Guide as Essential. I’m also on a fairly tight budget and want to try to get the most bang for my buck. Any help/guidance would be greatly appreciated.Thanks! Hi first of all this is a great site for gre preparation. Secondly i want to prepare myself for gre test in 3 months. The study plans and guides are of 2011 2012? I am really interested on using Magoosh as a preparing tool, but one of the essential materials that you have in the plans is the ETS’s official guide to the GRE book. I am out of the city in this moment and I just have internet access, no way to buy the book here where I am but I have Cracking the GRE from Princeton Review ebook. I just want to know if i can use this book as a reference meanwhile I arrive to the city (maybe in 1 month) or in that case if I can follow a different study plan without using the ETS book and last two months using it. By the way, my plan is to have a 3 month study plan and I scored 146V/152Q/2.5AWA. Maybe can I focus on the verbal or writing sections for the first month? What do you recommend me on that case? I’m going to take GRE exam in 7 month and I’m looking for a plan which works better for me. I have a good math background. So I’m not so worried about that. My English is OK since I have been living in US for 4 years and studied my MS here, however, I need help with my vocabulary. I’m currently working full time and I won’t be able to study more than 10-12 hours/week. Is there anyway I can talk with someone about this before I purchase a plan? I wanted to say my thanks to your great study plan. I excerpted some parts of this plan and tuned my won plan! Last time I was a total of 305 and now it is a total of 319. The biggest help was reading magazines, which became my habit. This website seems to be wonderful and I think if I follow magoosh I can definitely get near 330-335. My only concern is the 90 Day GRE Study Plan for Beginners which was posted in 2012. Also almost all the comments on this page are from 2011 to 2012. I really don’t want to follow an outdated study plan and don’t want to start on a wrong note. Please guide me through the latest Study Plans as I plan to give GRE sometime in March-April 2015. P.S: If there is a specific active community on Facebook or Magoosh website itself for the batch of March-April 2015, could you please send me the link? We update these plans regularly, so you can use this for your upcoming exam! 🙂 We just don’t change the date on the post. 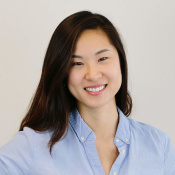 I am Grace, an international junior student from Asia looking forward to applying the engineering and cs graduate school in US. I find this website just now and this seems great! I’m interested in how can I use the magoosh product based on my situation! And, my GPA is 4.0/4.0 in my school. After rethinking wether to retake the GRE, I plan to retake my test after about 30 days. Your 30 days plan was really written great! I’m wondering whether it is suitable for me to use based on I have 4~6 hrs a day I can study about GRE. Or how do you suggest to adjust ? Like based more on the Q hard ? and About Verbal how to adjust that can make my fundamental skill more strong? remember more new words or focusing on reading? I am confused! Looking forward to your reply! Thank you for looking! I think a retake is a good idea, esp. if you know you can do better. I would tackle the 30-day plan for verbal (that will help you with the fundamentals). Make sure also to use vocab flashcards and read plenty of articles from aldaily.com in your down time. For math, just focus on doing more difficult material and taking practice tests (the Magoosh questions should keep you on your toes, though you might want to supplement that with some questions from MGRE). Remember, to assiduously (GRE word!) review and learn from your mistakes on both sections. Hopefully that should take you to the 168Q/150+ V level. Really thanks for your replying! all of you are so kind to reply my question. I will be more assiduous!!! And sign up to be magoosher!! i recently signed up for magoosh and looking for a 60 day study plan. is there one available? I just signed up for Magoosh and the lessons have been helpful thus far!! Kudos to the team! Having just a month left before my second test, I am wondering if it’ll suffice to use the site as my only preparation material? I always promote the multi-faceted approach to GRE prep, which basically means using a combination of the best sources. Though as long as you couple your “magoosh-ing” with the 2nd. Edition Official Guide, I’d say you’ll have all the prep sources you’ll need to crack 320 :). I need a 140 quant and a 147 qual. is this a challenging score to get on the new GRE? The answer to that question really depends on the range in which you are currently scoring. Overall though that score is on the lower side, so on the whole it is not a challenging score to get (150Q, 150V is closer to the average). Hi Chris, I am quite good at Quant and I want to improve my verbal. I have only 1 month for preparation. I have gone through the Princeton review GRE word smart and some flash cards. However I need some SE and TC practice.. Unfortunately, we our 30-day plan is quant and verbal bundled together :). My GRE is on 22 oct, I want to take online practise tests please suggest some websites. Most of the online GRE practice tests are not very reputable (meaning the questions are not all that great). Buying must one of MGRE guides gives you access to 6 online tests. That’s the best way to go :). okay..then plz tell how much it will cost in INR if i only enroll for tests ?? My verbal scores aren’t much improving and my exam is scheduled on 28 August 2012. Kindly help me, I’m very tensed. Improving vocab is very difficult in such a short time. Nonetheless with dedicated effort it is possible. Of course approach is just as important as time. Below is the magoosh vocab ebook that will set you on the right path :). Yeah I understand the time complexity and the proper approach. Looking forward for a better development. And I’ll be following the blog…. GradCafe recommended your work to me so I thought I’d check it out. I’ve been studying for about two weeks seriously with about a month of on-and-off studying before that with the Princeton Review book and online content. My first practice test before I started studying was 157V, 145Q and after these two weeks of studying my verbal went down to 154 and my math stayed the same at 145. I need at least 80th percentile in Verbal to make myself as competitive as possible for grad school funding. To add another complication to the mix, I am moving to Wales at the end of September so I have less than two months left before I have to take the test. Is this going to be enough time to raise my Verbal score that much? Should I only focus on the Verbal and leave my Math score where it is? Two months is definitely enough time to raise your verbal score. I’d recommend a steady diet of practice questions and vocabulary, not just flashcards but also by reading and picking up words in context (I expand on this in the vocab ebook. I’ve posted a link below :).). As for practice questions Manhattan GRE has six online tests that will help you hone your verbal chops. We (magoosh) also have hundreds of verbal questions that will help make the questions you see test day a little less daunting. As for only focusing on the Verbal, it really depends which program you are looking to apply to. Unless it heavy on Verbal (Lit., History), Quant will probably be a factor in the admission’s consideration. I went through some of the online trial questions that are available for free a week after signing up, and found them to be really helpful. I will be giving my GRE in october and I do not have much idea about the exam ( the types of questions i.e) . My verbal part is okay but the Quantitative sections is what gives me the jitters, I am currently working so an online preparatory course is what that would really help me…So could You please suggest if the 3 month course would help in me getting a decent score and if yes, how much time would it take for me to cover all my weak areas in the math section. Will try to make this as brief as possible. I have a strong quant. background academically but think the new Math section format through me off (had a 760 on the old format years ago). I got a 159/155 V/M in May (with 2 months of intense study) and need as close to a perfect Math score as possible (applying to a quant. PhD program). Frankly if I bomb the Verbal and get a perfect Math score I’d be ecstatic :-). Seriously considering the Magoosh Premium package and would like to know what you’d recommend for an approx. 2-3 month study program using this package with a focus on advanced math problem strategies. I’m also planning on getting the Manhattan GRE Word Problems and Quant. Comp. and Data Interpr. books. What’s your opinion of these books for someone with advanced math skills? I’m pretty certain I can teach myself anything in the other math books; I’m more concerned with mastering the ins and outs of the test format. Thanks in advance for your feedback! In conjunction with the Magoosh package, I’d recommend using the practice tests from MGRE (meaning you’ll have to buy one of its books). Using all of ETS prep material, and even practicing with official GMAT questions, should help you get close to perfect. Good luck, and let me know if you have any other questions :). Hi Chris, I took the GRE last November with just one month’s preparation and I scored nowhere near what I needed. I studied intensely with Magoosh since November and retook the test yesterday. My verbal score improved from 150 to 161! There’s no way I would’ve made such an improvement without Magoosh. The video lessons and practice questions are really helpful. So thank you very much! That’s an awesome score improvement :). I’m so happy that Magoosh could have been a part of it (and I’m happy my verbal videos are turning out to be even more effective than I’d imagined :)). Good luck with your applications :). i hardly have 10 days left for my gre exam , and i am very scared about the vocab part.i can do quant perfectly but am not able to do the vocab part upto the mark. please suggest me with some tips so that i can do better . Hi chris..I wantto know if my academic score in b.tech would affect my admission in US universities for MS? Actually, I only specialize in GRE-related stuff…I wish I could better answer your question. You may want to try urch.com. I have exactly 47 days to prepare for GRE.I am CA.My quant is much stronger than verbal but I dont have proper materials to get a perfect score in quant. (157-quant and 144-verbal as per diagonostic test).I need help for verbal.I am not able to sign up as it is showing some error.I aiming for a score of 320.I am bit lost with so much information.How do I go about it. You said you were not able to sign up. Was that for the Magoosh gre product? In the meantime, take a look at our ebook. Hopefully, this will help make GRE-prep seem less overwhelming :). I stumbled upon magoosh when searching for an online prep website. I did the 1-week trial and I was quite happy with the layout of the website–in particular, how user friendly it was and the very informative videos that illustrated the process to solving the question. I took the GRE last August at the end of my toughest summer school semester. I was naive in thinking that two weeks was ample time to prepare for the test–my scores were reflective of my degree of preparedness as they were a combined total of 300 (60th percentile Verbal, 40th in Quant…yuck). I want to retake the GRE, this time with 10 weeks of preparation. I plan on retaking the GRE at the end of this upcoming August and I am currently in week 2 of my preparation. I stumbled across Magoosh and was wondering, do you think the 30 day plan will improve my scores? Money is currently tight at the moment (loans are now due and working minimum wage) but I have ample amounts of time I can use to study. I definitely think the 30-day plan will help. Since you have a 10-week time frame you may also want to consider our 2-3 month study guide. The good news: We are having our 4th of July sale right now. Let me know if you have any other questions :). I have exactly 2 months for my GRE preparation. I’m very very bad in maths and equally bad in english. This very thought of GRE in 2 months is haunting me. I’m currently doin Princeton book and quizlet. Since i work i’m finding it very difficult to manage between studying and working. Is there anyway i can score 320+ using Magoosh? Also can you list me few books ? I tried with RC passage and was unable to crack it. It would be really grateful if you can help me on this. PS: This is the first time i’m taking up GRE. Do not fear: many have been in your place and some (I know them personally) have been able to make significant strides in GRE prep. Anyhow, you’ve come to the right place. Let me know if you have any questions along the way :). I checked your study plans but my particular situation is one of someone with average Math AND Verbal (instead of either one). I have about 3 months to the time I would like to take the test and I have pre-ordered Manhattan material. Any study plan for me you would recommend? The best thing to do in your case is to merge each plan. By that I mean trying to combine as many as the lessons as possible. You of course would not want to do all of the problems listed in each study guide (unless you have lots of time). The key is these study guides are not set in stone but are a general overview for the “typical” student. So modify each according to your needs. For instance, if there is an area you struggle more in, then spend more time then the study guide suggests. Thank you for your quick reply. I was thinking about using the GRE Math prep book by Nova. Do you think is a good idea? I would like to avoid books that are a waste of time (such as the 1,014 questions by Kaplan). As a tutor, which books for the quantitative section do you recommend? So far, I can study on Magoosh, ETS, Nova Math prep course. Any other ideas? I just want to be prepared for an average score on the quantitative section. The Nova’s should be good for general Quant practice. Make sure you are really strong on the fundamentals. In this case I recommend McGraw Hill’s Conquering the GRE Math (this is not the general guide, which you should def. avoid). I also recommend students practicing from the Manhattan GRE books, specifically from the online mock tests. Together with Magoosh content, you’ll have enough to keep you busy before the test. First of all, I wanted to thank you (and all the crew behind Magoosh) for your ideas, and for your dedication. I have a peculiar question for you (well, I just think it may sound strange :). I have been preparing for the GRE new edition for about 2 months. I have studied all the quantitative lessons, but I am still struggle with various questions, even if I do understand the concepts behind them. I do not want to use all the practice questions offered on Magoosh because I am feeling like I am wasting a precious tool, but at the same time I want to practice as much as possibile. I am planning to take the GRE the first week of September. In addition, I also purchased the Math Prep Course of Nova (which I find particularly complex and not well developed), Cliff Notes Review of Math for the standardized tests, ETS the official guide for the GRE, and Barrons the new edition). Since you are a tutor, I thought you may know which is the best strategy to “crack” the GRE. I know you do not like the simple memorization of formulas, but you always recommend to apply them in context. Do you think I should review the entire material, and then start to practice on Magoosh (even if I get them wrong), or should I use other materials at the beginning and then practice directly here. That is definitely an interesting question :). Sure, you don’t want to burn through all of Magoosh’s questions, but you do want tricky questions. You may want to try the GMAT Official Guide 12th/13th Edition. You basically get 200+ Problem Solving questions. Sure, none are in the same form of the GRE question types, but for the most part the math is pretty similar (and in some cases more difficult than that found on the GRE). Hopefully, that will give you enough ammunition before you get to the Magoosh questions :). I have my GRE in next 20 days. I have hunted a lot of material only to realize that most of the books copy materials from OLD GRE. I am still unsure, where to study for verbal. but I am equally bad at verbal. Please suggest the right material for verbal for NewGRE. Also, I have started reading newyorker and flash cards, to increase my vocab but I fail to recollect the words when required ! Have you tried using Magoosh? We have plenty of practice material and useful lessons. As for helpful tips to memorize words and learn vocabulary, here is our Ebook. Once you’ve gone through it let me know if you have any questions (I think it’ll def. help answer you question :). I just joined in hopes that this will be a great partnership that will prepare me to do well on my GRE. I tend to shy away from purchasing anything on the internet, but decided to take a leap of faith in your product. Looking forward to working with you on my education goals. I have yet to pick up a book and only looked at your site for a day and did a practice test and did not do well. Needless to say my confidence level is poor. It’s great to have you on board :). At this point don’t lose heart: many people start at a score lower than they’d hoped. Over the years, I’ve seen many drastic score improvements. It takes persistence, dedication, and, of course, the right material. Let us know at any point along the way how your prepping with Magoosh is going. And don’t forget: this blog is a veritable trove of study tips and the like to sustain you during those inevitable trying prep times. I just found your site and will be using it for sure. I need your advise. I scored an 860 on the old GRE. I needed an 850 for my program. I am now changing programs and the minimum requirement is 1000 (it doesn’t say the new and I’m clueless on converting it). I have to have the official score to the university by November 15. What is your recommendation of when I should take it considering my desired score and timeline, so I can choose which timeline to follow in your program? Additionally, what is your recommendation regarding my focus. I scored a 410M and 450V origiginally. I was thinking I should do the beginner focusing on both. Yes, the GRE is a daunting test :). But I’ve seen many make terrific score improvements, so it’s definitely conquerable. With a little work, I’m sure you will be able to break that 1000 threshold. Let me know if you have any other questions :). Thanks Chris for the advise. I will definitely try that approach. To begin with, I want to say thanks a lot for attending to my question in such a short notice. To answer your question, I used to use Kaplan until recently after I read the review on it. I discovered Magoosh about two months ago and normally use it purposely for practise test questions either for the verbal or quantitative part. I agree with what you said at the end, I go through a lot of practise problems but don’t progress well probably due to the way I am approaching the problem. I focus more on my timing that I rush through the problems and end up making some simple mistakes or not even understanding the question as I would had I read it slowly. Also what I noticed from the verbal section is that most of the time, i don’t guess the answer before going through the given options to chose the answer from. I am hoping you understand what I am talking about so you can suggest to me a better way out. I know exactly what you are talking about: trying to guess the answer beforehand will help you think about the question more analytically and make you less likely to fall for traps. Working on this skill – vs. just doing oodles of questions – will help you improve. Likewise, finding other areas in which you can improve on approach-wise, and then working on those areas, will be far more fruitful than simply going through questions. I love the fact that for every mistake I make, there is a video explanation for it and even for the right ones, sometimes I do find an easier way of approaching the question. My question is, if I am to just focus on Magoosh instead of using the other sources, what will be my chances of getting a good score, saying 160M and 155V giving that I have 3 weeks to prepare for it? I am not working by the way so I have the whole day to study if I have to. 1. Point-wise, where did you start from? 2. How many Magoosh questions have you gone through? If you started out far below your target scores, then you are doing very well, and should likely continue to improve. Which brings me to the second question: if you’ve exhausted most of the Magoosh questions that will help you target your weak spots, then you may need to use other material. If you have only gone up by a little, then we would need to focus on how you approach questions. Is there something you are not doing optimally, etc. In that case, I would recommend you watch the lesson videos. Doing more and more questions – whether from Magoosh or from another publisher – will not necessarily help. Hope that makes sense :). Thanks. Is the manhattan gre 500 essential words flash card the best resource to use for vocabulary also or I should just stick with barrons. Am confused please help. And how many number of words u think I should learn per day. There is no perfect word list. You could only study Barron’s and see 20 Barron’s words test day, or you could study the MGRE list and only see 5 words test day. Or those numbers could be reversed and you could see 20 MGRE words. There is no magic list. The best list is the one that has strong sentence examples and good memory tips. In this case, MGRE beats out Barron’s. Though if you memorize all MGRE then you should move on to Barron’s. There is significant overlap so you wouldn’t have to memorize the whole list. Hey chris, thanks so much for your help. I am planning to retake it in June. Do you recommend any kind of book I can buy for verbal especially vocabulary or the lessons that you provide is ok. I hope to hear back again from you. My target is above 155 in both verbal and quantitative. I will do whatever it takes. With a lot of hard work, you can definitely achieve those scores. For vocabulary prep, Barron’s 1100 Word You Need to Know is a great self-study book. Make sure of course to bolster your vocab by reading, reading, and reading, making sure you look up words you don’t know and write these words down on flashcards. Best of luck, and don’t hesitate to ask any other questions :). Sorry to hear that the GRE didn’t go as well as you’d hoped. The best plan of action is to follow one of the Magoosh study plans. In the plans we have provided resources that will help you regardless of your English level. Which plan is best for you depends on when you plan to retake the test. Good luck, and please continue ask me questions as you use one of the Study Guides. I want to make sure that you are able to hit your target (and beyond!) when you retake the test. I want to Excel myself in Verbal Section, and the NEW Gre Pattren in worrying me alot. Can you please help me out in this concern. mainly those Sentence Completions…. An excellent guide for the Sentence Equivalence and Text Completion questions is this very blog. If you look at the top bar and click on ‘Verbal’ you will be brought to dozens of posts to help you prepare for and conquer Text Completions. Have at them, and let me know if you have any questions along the way :). well I was so looking forward to a reply from you . 1. Talking about the verbal part, my approach was very dull; I just used to learn all the words from the note book that i used to prepare for the GRE. my focus was on Maths . For Reading comprehension I practiced a lot but I could never really improve my score as i thought more and more practice might help me but it never did ….. you are right about that . But I still have no idea how I can improve my Reading, as I think that the reading comprehensions that now appear on the new GRE are more for the students who use to get books on there birthdays rather than GI Joes ( as kids ) …. 3. I always use to practice math questions under timed conditions . Chris i have already applied to a few colleges got accepted at one and got rejected by many haha ….. well that was expected which is not a good feeling, so I am determined to take the test again . I am planning to take my test after a couple of months. How much time should I give my self to prepare? With a lot of time on my hands, i tend to over do stuff . eagerly waiting for your reply . Afterwards go through the study guides above incorporating RC techniques in the resources you encounter there. want to take the test again this April …..
My sincere apologies – for some reason your comment never made it to me. This is strange, as your response was vey thoughtful and longer than most. But let me at least try to make up for the delayed response by doing my best to help you out. Reading your write-up, I can come up with a few scenarios for your lower score. I can also recommend ways for you to improve so that you are ready for your April test. Sometimes, by doing hundreds upon hundreds of practice questions you are not improving your skills, but are enforcing bad habits. For instance, if your approach to reading comp. is not ideal, doing as many questions as possible will only hurt you. My question: how do you approach the verbal section in general? How do you approach Text Completions, RC passages, etc. This may seem superflous but remember – understanding why you answer a question incorrectly will ideally help you avoid doing the same in the future. It will also help you to see how the test writers think, an invaluable insight that should help you break into the 150s. I know you weren’t able to apply my methods last month, but I’m curious if in-context learning has helped you since. Regardless, let me know how you are learning words now, and I will help you refine your strategy. The GRE format of sitting at a computer as a clock relentlessly ticks downwards is unnerving, especially if you have not practiced under similar conditions. I would recommend trying out Magoosh. Our entire product – every question and lesson video – is computer-based. Every time you approach a question, there will be a clock. So get back to me on the first few points, but I definitely think with the right technique you will be able to break 150, if not 155, on the GRE verbal. (Magoosh offers a full-refund if a person re-taking the GRE doesn’t increase 5 total points). This is my first time to take the GRE exam and I want to get the score as high as possible. I went to cram school few years ago but I didn’t take the exam. So I’d like to know if I follow the 30-day GRE guide, will I get good grades? There is no magic formula – but if you follow the 30-day study guide, it is one of the most effective ways for anyone to prep. So even if a person is starting at a 135Math and ends up with a 150M after following the study guide, this is an amazing score improvement. 150M, however, is not a top score. So really it depends where you are starting from. Download the Powerprep test. It is free on the GRE site. Take the test and see what your score is. Then follow the study guide, focusing on your weak areas. I’m curious about that if I just only follow the 30 days GRE guide, will it be enough for me to take the exam? I am really nervous about taking this exam, and I want to get good score. By the way, I just registered the prep today when I found here. The answer really depends on your current score and the score you hope to attain. Following the 30-day GRE guide will definitely help, but unless I know your goals I do not know if it will be enough. I’m really interested to join the Magoosh as one of my many study prep tools. Can you please recommend your best GRE Math study tool for the new revised GRE exam? Our math study tool is our entire product – you get access to math video lessons that break down all the fundamentals you will need to do well on the test. On top of that we offer hundreds of math problems, each with a video explanation. We have a sale until the end of the month! Let me know if I can answer any other questions about the product. Are there full length tests offered by magoosh? Could you please send me the link? I can positively say that no user of Magoosh has ever claimed that we “extract money.” Quite the contrary, we have such satisfied users that they are usually shocked we didn’t try to “extract” more money. As for your specific case, I’m not sure exactly why you are not doing well on quant, but I’m guessing your math skills have gotten rusty because of your arts background. Magoosh Quant will really help you out. Our lessons will help you brush up on all the fundamentals while helping you gain a better sense of the traps that the test-writers lay for the unsuspecting. Typically, “math tactics” are just a small part of the overall picture; the key is learning the concepts behind the math. And no one – in my not totally unbiased opinion – does a better job than Magoosh.